Every year Rio de Janeiro is home to the mother of all carnivals, the legendary Rio Carnival when hundreds of thousands of people flock to the city to celebrate. It’s a time to sing, dance, party and have fun whilst immersing yourself in the Brazilian spirit. Start shimmying and shaking, because the Rio Carnival is one big party not to be missed! Thought to have originated in the 1700s as a festival before the sombre mood of Lent, today’s carnival now focuses on an annual samba competition. Rio’s Carnival is the most famously over-the-top carnival. 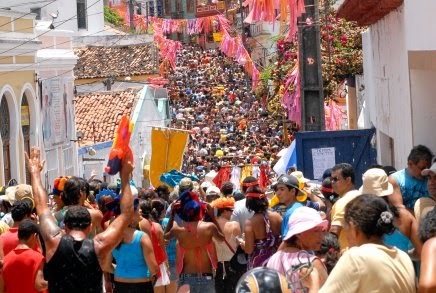 Every year approximately 500,000 visitors come to take part in this elaborate street party. Carnival storms through Rio with hip-shaking samba and frevo, spectacular costumes, and an unforgettable party atmosphere. The highlight of Carnival is the samba school parade, an imaginative, colourful, elaborate, and festival parade illustrating floats and costumes of each school’s theme. Looking for carnival holiday trip? Free time for you to explore Rio de Janeiro and enjoy the world’s biggest party at Rio Carnival. Try your hand at samba dancing at the special bandstands that are erected throughout the city and its suburbs or join in the free street parties, singing and dancing with the locals long into the night. On Sunday night enjoy the famous Samba Parade at the Sambadrome.